We’re a trusted partner of Open Fibre Networks, delivering multiple services to OFNL campuses. Sand IT signed a significant partnership agreement with OFNL in 2014. 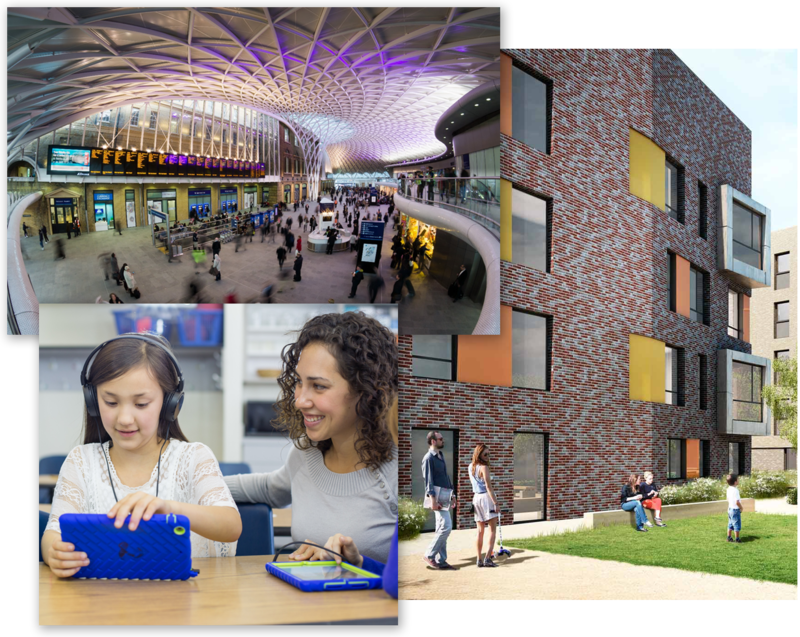 Since then we’ve been working to deliver services ranging from passive network to high-speed internet connections, across developments such as the landmark King’s Cross Estate, Brooklands Farm Primary School and Greenwich Millennium Village. Simple unmanaged provision of a point-to-point physical blown fibre tube, routed through the IFNL underground ducted network. This service is only available for business clients at specific network locations. We can also provision your fibre connectivity. Connects end user locations together as if they were one ethernet network. This service provides point-to-point connectivity from the user’s network to the handover point at the IFNL meet-me point. It offers flexible, scalable bandwidth options for interface speeds of 10Mbps, 100Mbps or 1Gbps. Provides a PATS-compliant telephone service to residential or SOHO customers. This service is delivered over IFNL’s next-generation fibre network, providing crystal clear call quality and reliability. A fibre ONT providing two analogue POTS ports (higher density port options available on request) is installed into a property and connected to the building’s standard copper wiring (CW1308 or CAT5). A battery backup provides emergency power should local power supply fail and is in line with OFCOM guidelines. Provides layer 2 connectivity from your premises to the IFNL meet-me point. This service delivers residential or SOHO next-generation access services such as residential broadband or low bandwidth voice connectivity. It offers flexible, scalable bandwidth options with downstream rates of up to 300Mbps. Provides a secure and reliable next-generation telephony product. This service is designed to replace basic rate and primary rate ISDN services with a flexible and scalable service for four channels or more. It is delivered over a dedicated premium service network which together with IFNL’s next-generation fibre network ensures reliability and crystal-clear quality. Provides a wholesale white-label broadband service to residential or SOHO customers. This service is delivered over IFNL’s next-generation fibre network, providing predictable levels of service and reliability.